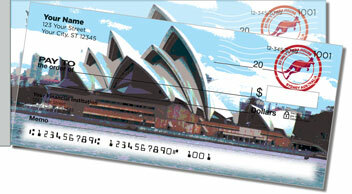 This set of checks celebrates life in one of the most amazing places on the planet. 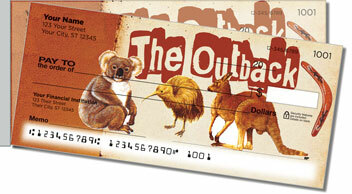 Australia is an island, a country and a continent all rolled up into one. It's where you'll find unique wildlife, good-natured people and plenty of adventure. 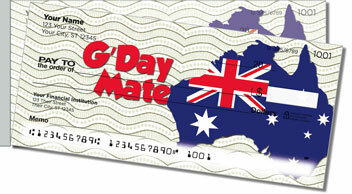 Whether you're a true-blue Aussie, or simply love the land Down Under, this design lets you celebrate in style! Plus, you'll no longer have to worry about those accidental rips. Side-tear checks make it ease to pull document from the pad without waste! 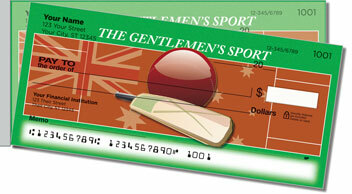 Order your own Australia Side Tear Checks from CheckAdvantage. 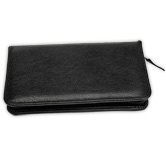 Get yours now with matching labels and a custom checkbook cover.